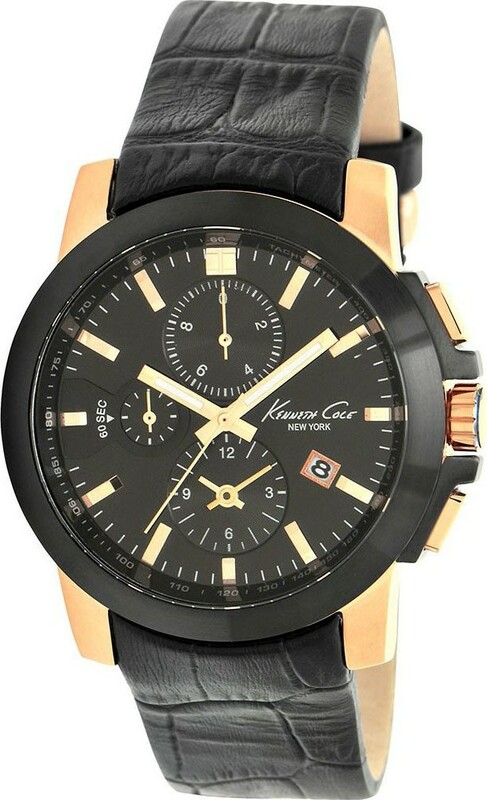 Man watch chronograph Kenneth cole. Leather strap black, box of stainless steel in black and calendar. Dimensions: 42 mm diameter box.